For many, self-employment is a good way to earn money while keeping flexing hours. The process of setting up your business can be complicated, however, so be sure you have things in order before you set off down the road of couriering. In basic terms, there are two kinds of self-employed couriering. An ‘owner driver’ owns their vehicle privately and puts it to work by offering a courier service to other businesses and individuals. Owner-drivers are wholly responsible for their own business, including all forms of marketing, promotion, insurance and book-keeping. A ‘sub-contracted driver’ joins an established courier firm on an uncontracted basis, picking up jobs ad hoc without necessarily advertising their services. The central courier office handles all orders, calls and invoices. The drawbacks to these approaches is the competition you will face from the likes of Fedex and huge private firms will make advertising effectively almost impossible, not to mention the high insurance premiums for driving vehicles containing valuable items on a permanent basis. In addition to the regular insurance for a van, you’ll add on insurance for goods in transit, which can be upwards of £200 per annum. Because of the flexible nature of the work, there is a lot of competition from other unemployed people, which drives down the prices you can charge for your service. Additionally, invoices can take a month or two to process, which means you could be running without income for some time before your payment comes through. Many of these issues are resolved by working as a sub-contracted driver, particularly in giving you the necessary experience to set up your own business independently further down the line. However, owning your own van is still a necessity, and there can be hidden costs: although you may be paid extra to travel long distances, you are by no means guaranteed to be paid cover for the return journey. Local jobs may be few and far between, and accepting any work that comes your way will be paramount. Some courier services will look to cut corners at every opportunity to stay competitive, and this may include making subcontracted workers jump through more hoops than would otherwise be the case. Although this might paint a gloomy picture, if you are willing to tough it out through the lean times, you can make a good reputation for yourself and earn a network of customers that will hold you in good stead for future work. Businesses like working with someone they know they can trust, so if you can prove your reliability, you may be able to build your own contacts over time. 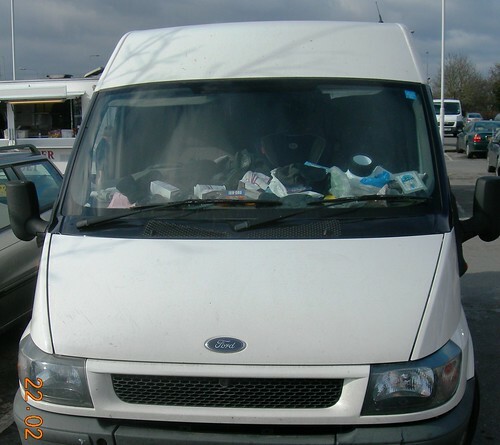 Above all though, make sure you have your own commercial van insurance before you hit the road. Catherine Halsey is based in Edinburgh and writes for a digital marketing agency. This article links back to Hastings Direct Insurance.